When Dorothy is swept away by a tornado, she finds herself in a strange and magical land. She makes a lot of new friends in Oz – but how will she get back home? A childhood favourite is retold for new readers in this charming Read It Yourself book, which combines a richer, wider vocabulary with clear and beautiful pictures to support learners and capture their attention. 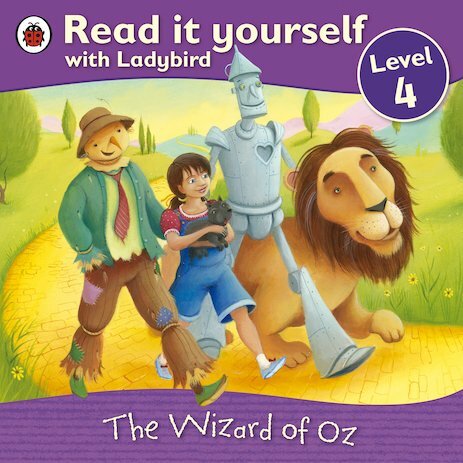 Perfect for building stamina and self-reliance, this book includes puzzle questions for checking comprehension, and belongs to Level 4 of the scheme, for children who are eager to read longer stories independently. I liked the lion who wanted more courage.